He knows that’s not how card counting works, but movies like “The Hangover” have resulted in many people not understanding what it really takes to beat the game. I tell people that there are two things they need to beat the casino: brains and a bankroll. While both are essential, many people want to jump to the second issue while taking the first for granted. Or the other way of putting it is: You could have a $1 billion bankroll, but if you don’t have a PERFECT blackjack game, you will eventually lose the entire thing. The number of betting units is irrelevant if you don’t have an optimal game. Sorry if we sound like a broken record, but we just have to emphasize the most important thing. Does that mean all you need is brains? No. What is the Recommended Bankroll for Blackjack? Well, it depends. I’ll give you a neat, clean, mathy answer about it in a minute, but honestly it’s complicated . And while many professional card counters are quick to say, “I wouldn’t bother getting into card counting with less than $20,000,” I cannot give you that same answer. Why? Because that’s not our story. I started with $2,000. though I don’t think I ever bought in past my first $1,000 stake. Ben started with $800. Did we start with a perfect game? Doubtful. But we worked our tails off to get perfect at blackjack. Were we patient? Absolutely. I estimate that I was generating about $5/hr to 7/hr for the first couple months, but we were growing something so it didn’t matter! Were we lucky? Probably. Our risk of ruin (the odds of losing our entire blackjack bankroll) would give most card counters (not including Ben) severe hypertension. Were we aggressive? Insanely. We weren’t worried about backoffs, and would play a 1-20 bet spread or higher, always playing the table minimum below a true 1 and leaving the table at a true -1. While a $20,000 initial stake would be great, that’s not our story, nor is it realistic for many people. But, you’ll have to be patient, aggressive, have a perfect game, and you may need to be willing to take on a little more risk. But then again, never starting your card counting career is also a risk. Now that that’s out of the way, let me quickly show how the number of units will affect your risk, because that’s probably what people are wondering… how many units do I need to not go broke? 200 Units: ~40% Risk of Ruin. That means that 4/10 card counters who play this way will be kissing their bankroll goodbye. The other 6/10 card counters will hit some positive variance and never look back. I wouldn’t recommend playing at this level of risk for long. But if you decide you can handle those odds and don’t have another option, then may the cards fall in your favor. 400 Units: ~20% Risk of Ruin. For any of us who’ve played blackjack professionally, you would never want to run at this level for long, as you wouldn’t want to wipe out your capital once out of every 5 bankrolls. But I know Ben and I started higher than this. So again, you can decide if 20% is appropriate relative to your other options. 500 Units: ~10% Risk of Ruin. Still high for long-term, but 9/10 card counters will be okay if they started with 500 units (of course, once you’ve been winning, you wouldn’t keep re-sizing your bets to stay at 10% risk… it’s assuming you start at that level and keep playing the same stakes as your units increase). 1000 Units: ~1% Risk of Ruin. Once we were living off of blackjack, I preferred 1% or lower. With $2k, I had little to lose. But when card counting was a full-time job making me well over $100/hr I didn’t want to go back to waiting tables! One of the benefits of running blackjack teams for nearly a decade is that I’m an expert at bankroll management: keeping EV as high as possible and risk as low as possible. 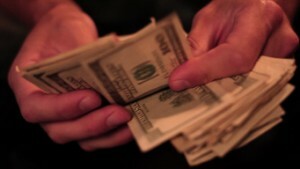 We offer Bankroll Coaching for $199. Better yet, we throw Bankroll Coaching in FOR FREE to our BJA Members who buy the “Elite Membership“. Why would we give a $199 product away to people who buy our $497 Membership? Because we aren’t excited to simply arm unprepared people with bet spreads. Remember, it’s as much about the Brains as it is about the Bankroll. We believe people need training, community, and the proper resources to beat the game. And we want people committed to BEATING the game and committed to the community of card counters at BJA. If you’re still with me and are really asking “What kind of money can I make with my blackjack bankroll size”, then keep reading. Again, all of these are based off of 100% PERFECT BLACKJACK and standard rules with a 1-12 unit bet spread. Worse rules, more decks, poorer penetration will hurt EV and increase Risk. Better rules, fewer decks, or better penetration will increase EV and lower Risk. $1,000 Bankroll – $10/hr EV; 45% Risk of Ruin. Now that seems like lot of risk, but you also have a 55% chance of never looking back and doubling your bankroll in 100 hours. Does this mean you need $1,000 before you start playing? Not necessarily. If you have $500 and know that you could save another $500 if needed, this is essentially the same thing. For Ben, it was $200 (lost), another $200 (lost), then he risked his last $400 (the rest is history). $5,000 Bankroll – Using the same bet spread I calculated for the $1,000 bankroll, that would generate the same $10/hr EV, but with only 2% Risk of Ruin. Or, if you’re willing to go up to 10% Risk of Ruin, you could generate closer to $16/hr. That’s a 90% chance of not tapping out and an expectation of doubling your investment in just over 300 hours. At which point that same 10% Risk of Ruin bet spread with a $5,000 bankroll drops to 1% Risk of Ruin once you get to the $10,000 bankroll range! Are you starting to see how well card counting scales?!? $10,000 Bankroll – You could stay there and keep risk low at $16/hr. But if you’re still comfortable with 10% Risk of Ruin, you can get your EV into the $33/hr range with a 1-12 bet spread. That means you’re expected to double your bankroll again in about 300 hours of play. At which point, your risk drops again to 1% at the $33/hr bet spread! $20,000 Bankroll – Once you’re getting into this range, you’re maybe wanting to keep risk at 5% or lower. So for a 5% Risk of Ruin game, you could expect to generate $53/hr in EV. Not enough risk for you? 10% Risk of Ruin gives you a game worth $75/hr. $50,000 Bankroll – Now we’re starting to get into the “Pro” level. And our 1-12 spread is yielding $100/hr with 2% Risk of Ruin. Too much risk? Scale your bet spread back just a bit and expect $80/hr and a 0.5% Risk of ruin (yep, that’s 1/200 chance of going broke). $100,000 Bankroll – $170/hr EV; 1% Risk of Ruin with the “mediocre rules”. BUT, one of the nice things about getting into higher limits means you can play some of the better rules that are typically at the higher limit tables. Based off of the common “higher limit” rules all over the Las Vegas strip (6 deck, S17, DAS, LS, RSA 1.5 Pen), you can generate $335/hr EV with 1% Risk of Ruin on a 1-16 bet spread (or $335/hr EV with 2% Risk on a 1-8 bet spread). Not a bad investment! Hopefully by now you’re getting the idea. The more you have, the more EV you can generate and the lower your risk. Does that mean you need to save up $20k, $50k, or $100k to get started? Not at all. 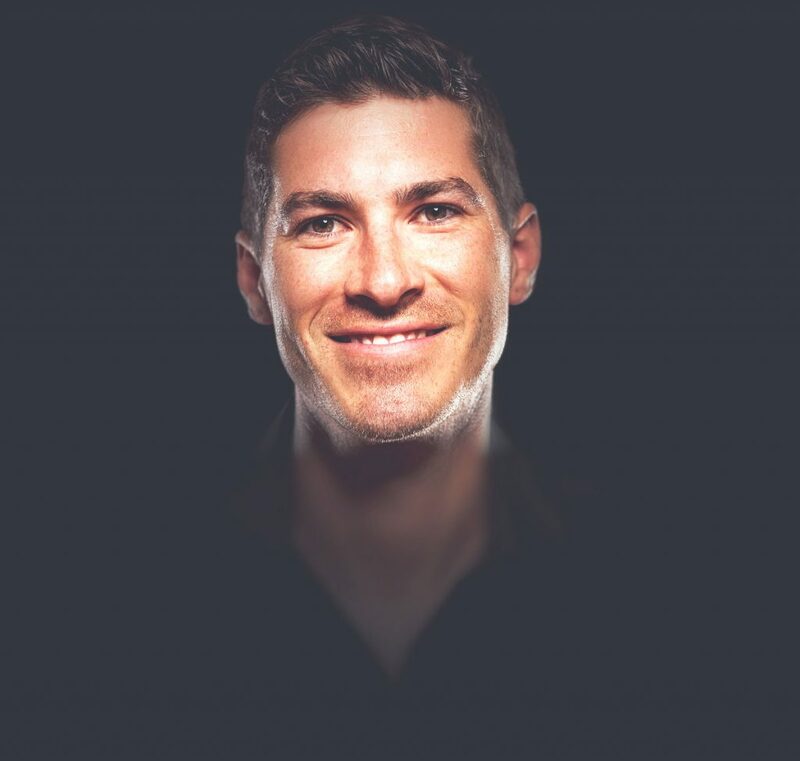 You need a perfect game and a willingness to scale your business as it grows. 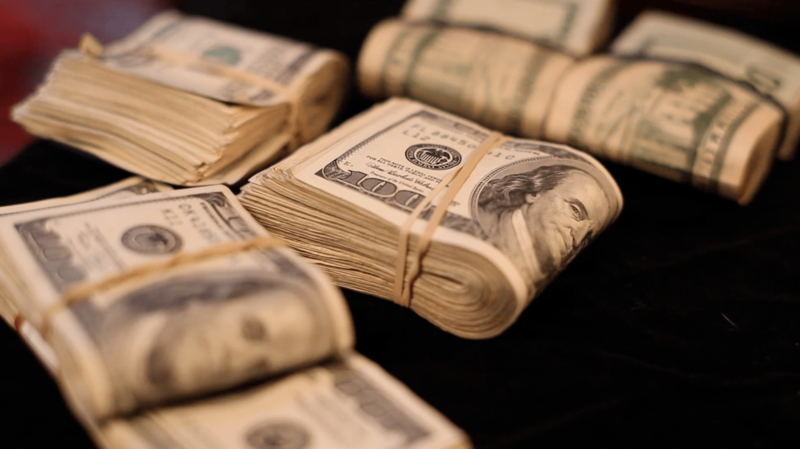 Your total bankroll might be $500, $5,000, or $50,000. But does that mean you should bring all that money to the casino for each session? Probably not. However, I’d say one of the worst things that can happen is finding yourself under-funded at the casino. You don’t want to leave early, or even worse: be in the middle of a positive shoe and run out of money! Especially if you flew into a town or had to drive a ways to get to the casino. So I’d lean more towards bringing more than you’ll need than not enough. But then again, I’m willing to take the risk of traveling with extra cash on me. That being said, here’s my advice: Keep in mind that it kind of depends on how long you plan on playing, as well as the variance of the game you’ll be playing. A decent rule of thumb is to bring at least 100 betting units (for a 4 hour session). So if your betting unit is $100, then I’d bring $10K. That might sound like overkill, but I’ve had sessions where I’ve been in for that many bets or more. If you don’t feel comfortable carrying that much extra money “just in case”, then you can bring less, but I’d rather have too much on me than not enough. So how about deciding how much money to be betting when you start losing, and the money left in your trip bankroll is getting smaller and smaller as the session goes on? An important rule is to always keep 6 bets to back up any bet you place. So if you bet $100, make sure you have another $600 to back it up. The reason being, you need to be prepared to split and double down multiple times. I know what you’re thinking: “But Colin, I just doubled down on a $100 bet, and I only have $500 left. The running count just jumped up to 30! Surely I should put even a larger bet out to win my money back?” No, padawan. You will have many chances to get your money back. But it is always more important to perfectly follow your playing strategy than to bet more money. So if you find yourself with $500, and you’re betting strategy says to bet $100, you’ll have to actually bet $70, so you have 6 bets to back it up. If you want to calculate how much to bring with you with greater accuracy, I would recommend using the “Trip Bank” feature on CVCX to help you calculate how much money to bring. You can enter in the length of session or trip you plan on taking, as well as the game you’ll be playing, and it will tell you the risk of running out of money for various trip bankroll sizes. You’ll have to weigh the risk of possibly running out of money on a trip with the risk your willing to take of carrying X amount of money. One last bit of advice: don’t ever advertise how much money you have on you. Neither the casino nor the other gamblers need to know how much you’re hiding in your pockets or wallet. A safe card counter is a happy card counter! Betting Unit: The dollar amount you bet according to. If you change your bets by $5 increments, then it would be a $5 betting unit. Expected Value (EV): The statistical amount that any given time period is worth. 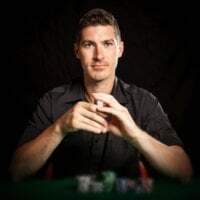 Even though results rarely equal a player’s expected value in the short run, the Expected Value is the amount a hand is theoretically “worth.” Given enough time, actual results will inevitably catch up with Expected Value. For more information on Expected value click here. Perfect Game: No mistakes at Basic Strategy, running count, true count conversion, bets, or playing deviations. 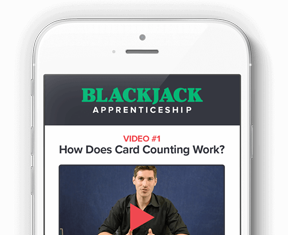 For more info, check out the BJA Card Counting Video Course. Risk of Ruin (ROR): The mathematical chance of losing one’s entire bankroll. Also referred to as ROR. For more information Risk of Ruin click here. Standard Rules: 6 decks, H17, DAS, RSA 1.5 pen, avoiding counts below true -1.